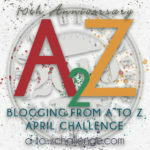 This post was inspired by a prompt from The Book of Me Written By You ongoing Challenge organized by Julie Goucher at the blog, Angler’s Rest. My life is divided into Sections and chapters. Places and age. Births and deaths. Children and events. Sickness and travel. There is a prequel. There will be an afterward. Chapters blend and blur. What used to stand out, bleeds into other chapters, reappears later as a footnote. Some things weave throughout the chapters – church, family, children, moving. I am using this post to organize posts I’ve written about my life events. Click on the links and you will go to the post about the place or person mentioned. 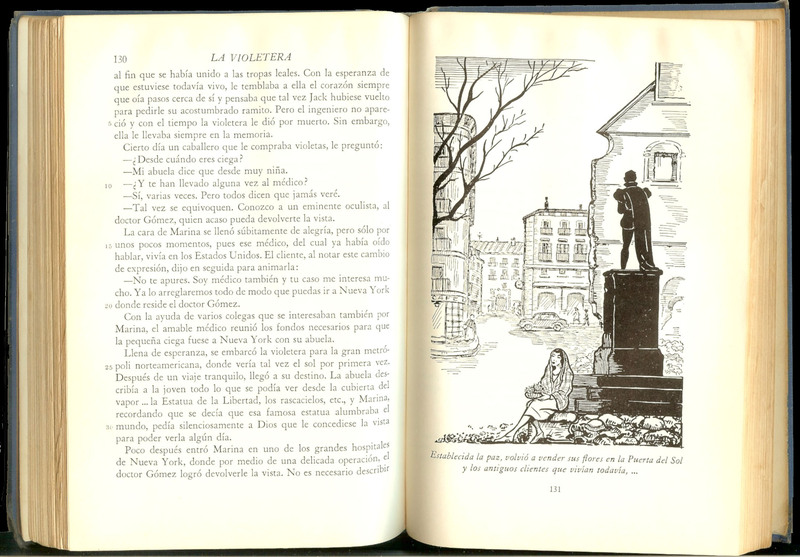 The book begins in Springfield, Mass. I was born. My sister was born. We moved to Detroit. In Detroit, we lived on Atkinson. I started school. We moved from Atkinson to Chicago Blvd. I changed schools from Brady to Roosevelt. My mother became a teacher. My great grandmother Jennie died. My parents divorced. We moved from Chicago Blvd. to Calvert. Started Durfee. Divide this section into 3 chapters based on Streets. Atkinson. Started school. Lived down the street from both my father’s church on 12th and my Cleage grandparents. Saturdays at my Graham grandparents. Teaching Pearl to read. Pneumonia. Dogs. Chicago Blvd. Living in the church house. That covers a lot right there. Piano lessons. rollar skating. Sore throats. Chicken pox. Tonsils removed. Great grandmother Turner dies. Cousins Jan and Marilyn born. Parents divorce. Calvert. Toni’s school of dance arts. Neighborhood kids and games. Best friend. Youth fellowship. piano lessons. Being a part of and then being outside of. Measles. Grandfather dies. Aunt Daisy dies. Oregon. On the outside, making plans. 1 year at McMichael Jr. High. My mother married Henry. Northwestern High School. Swim team. Graduated and went to Wayne State. Aunt Abbie dies. Met Jim. That has to start a new chapter. Went to Wayne State. Met Jim. Printmaking. Drawing. Groups. Publications. Demonstrations. Love. Broken heart. Loneliness. Detroit riot. Moving from Oregon to Fairfield. Graduated from college. Cross country tour. Return home. Maybe Fairfield should be combined with “Went to Wayne.” I lived there so short a time. Yes, combine. San Francisco, New York, return to Detroit. Moving out. Black Conscience Library. House on N. Martindale. Sewing Factory. Jim. Getting pregnant. Moving. Jilo’s birth. Moving again and again and again. Moving to Brewster projects. Teaching at Merrill Palmer. Getting pregnant again. Moving to Atlanta. Atlanta. 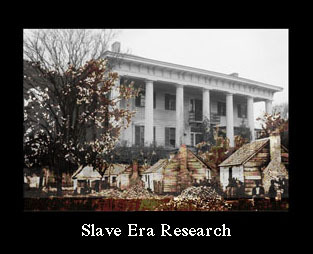 Working at The Institute of the Black World. Martin Luther King preschool. Ife born. Jim working at the Atlanta Voice. Staying home with the 2 children. Nanny and Poppy die. The Emergency Land Fund. Jim’s job. Moving to SC. Isolation! Getting pregnant. Moving to Simpson County, MS. Birth of Ayanna. Goats and chickens. Moving to St. John’s Road. Various jobs Jim had during that time. Birth of Tulani and James. Move to Excelsior Springs, MO. Jilo, Ife and Ayanna start school. My mother died. Jim’s mother died. My grandmother died. Norway. 4-H Club. Excelsior Springs MO. Job corps, paper routes, St. Ann’s church. Food Co-op. Altar Society. Schools. Tulani starts kindergarden. Jean, Monette and Raymond in KC. Reunions. Community Theater. Adoption Dolls. Moving to Idlewild, MI. Idlewild, MI. Jim with MDOT. Cabral joins the family. Henry and other members of the Cleage side are close. Local schools bad. Jilo goes to college. Homeschooling. Interlochen. gardening. Wood heat. The lake. Ife goes to college. Jim’s father dies. Louis dies. Henry dies. Ayanna moves to Atlanta. Tulani goes to college. James goes to college. Abeo born. Tatayana born. Jilo moves to Idlewild. My father dies. Osaze born. Kylett born. People continue to move away and back and to different places. Hasina born. Sean and Sydney born. Cabral moves to Atlanta. We move to Henry’s house. Move to Atlanta. Atlanta. Family, family and more family. Printmaking. Blogging. Plays. Ballet. Growing old. I am going to compare how my grandparents lives differed in the everyday things from mine. I’ll use 1923 (which is when my grandparents and family moved into the house I remember) most of the time but sometimes the 1950s creep in there. I can remember how different things were even when I was little in the 1940s from today. 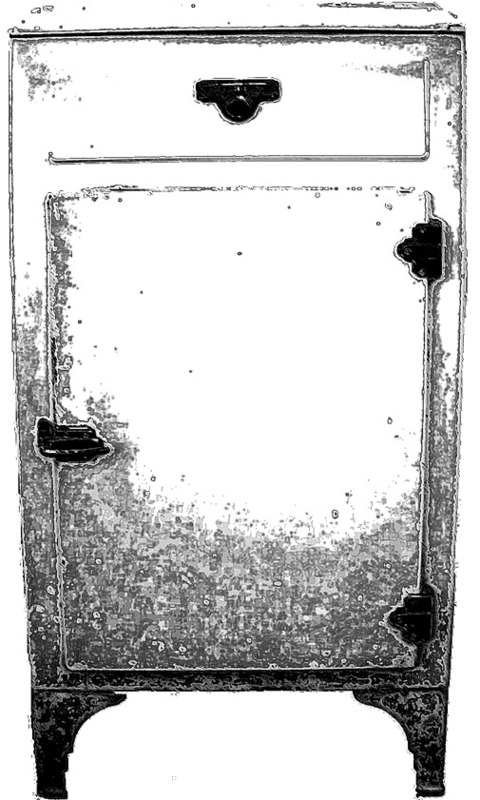 Back in 1923 my grandparents would have had an ice box to keep food cold. The ice man would have delivered the ice. Milk was in glass bottles. Leftovers were kept in china containers with matching tops. I remember a green one. Or in glass bowls with cloth tops with elastic around the edges to put over the container. Our leftovers are in glass dishes with plastic tops that always end up splitting. We also use plastic containers that once held take out from the Chinese restaurant. She kept her butter on a saucer in the cupboard so that it would be ready for spreading. I do the same with mine. They kept chickens in their Detroit backyard so eggs came from them. We buy ours at the supermarket. Washing dishes – I use a plastic dish pan. 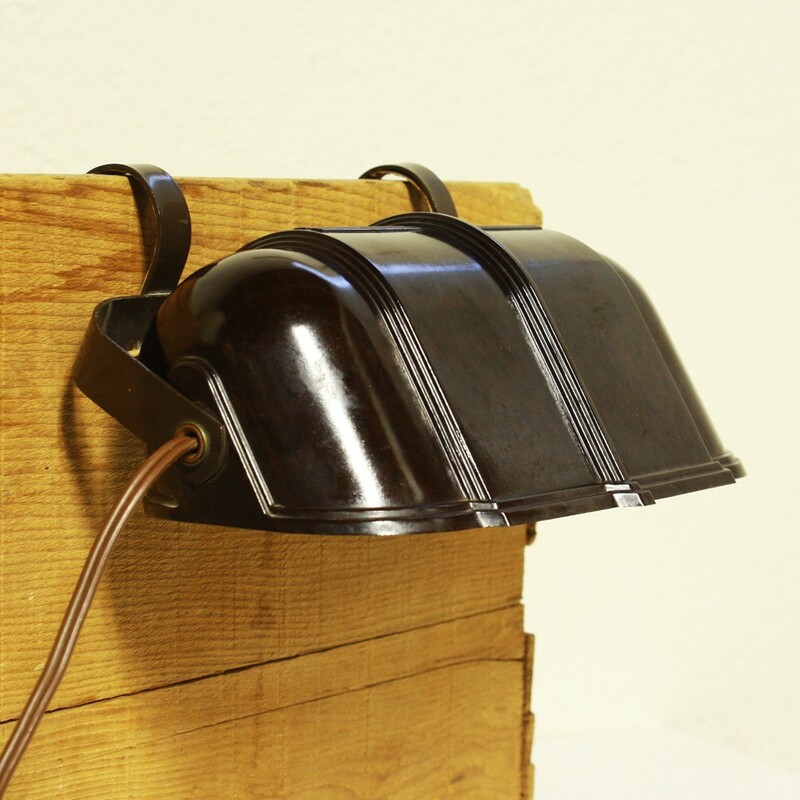 My grandmother (and so did we) used a metal one. I would still if I could find one. I fill another container with rinse water. So did she. She saved leftovers, cut them small and put them outside on the bird feeder. I throw mine in the plastic garbage can lined with a plastic bag. It goes outside to the big plastic bin after dinner. A full days garbage fit in a small metal can that had a step on opener. They wrapped it up in newspaper and took it out to the metal garbage can. 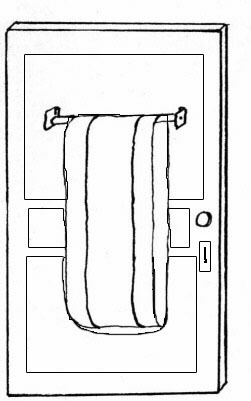 There was a towel rack on the back of the basement door and a continuous towel hung there. We have a rack on the wall and hang smaller towels over them. Washing clothes – I use a small washer/dryer. My grandmother used a wringer washer and hung the clothes up on lines in the basement. By the time we came along, she had an electric wringer washer but that is as far as she was willing to go. When I was small, we had a wringer washer too. It wasn’t until my mother retired that they got an electric dryer. I like to hang my wash outdoors but haven’t hung any lines since we moved here, so it’s the electric dryer. I spend lots of time working on computer research – nothing to compare with in my grandmother’s time. Listening to the radio – Actually I’m listing to the radio via my computer while I type this. 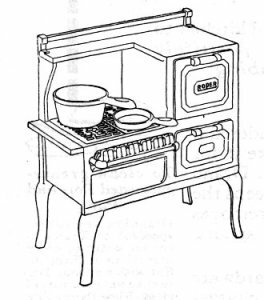 During the 1950s my grandmother listened to a small radio in the kitchen. She listened to the radio soaps and baseball games. I am listening to BBC4. Metamorphasis by Kalfka right now. In the evening my husband and I sometimes watch programs on our screen. It isn’t actually a television but a large computer screen that we have connected to a device (Hulu) that allows us to watch movies and old TV programs from Amazon and Netflix and PBS. It comes in via our internet. There was no television in the 1920s. Grocery shopping – We drive to the supermarket and picks things off of the shelf. We also belong to a urban farm where we pay a certain amount and get vegetables in season. My grandfather had a garden and they had an apple tree. My grandmother made the best applesauce from the apples. I sometimes make applesause from boughten apples but cannot match hers. They kept chickens in 1920. I don’t know if they had milk delivered to the house in glass bottles like we did in the 1940s and 1950s but I’m thinking they did. It seems from reading Got Milk? that milk in Detroit began to be pasteurized in 1916 and that milk men gradually replaced the milk peddlers that arrived with containers of milk from which they spooned into the housewives pitcher raw milk. 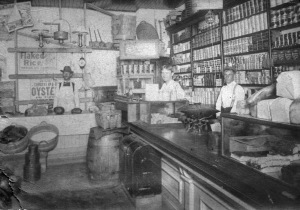 A grocery store in 1920 Detroit – Shorpy historic picture. A grocery store in 1920 Detroit. 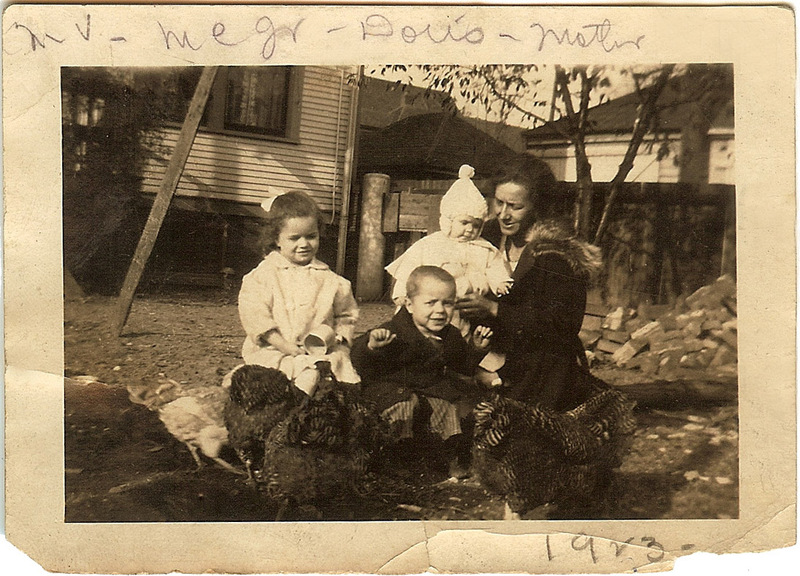 In the 1950s, I remember walking to a poultry market with my grandmother where she picked out one of the living chickens kept in crates around the room, they killed and plucked it for her. 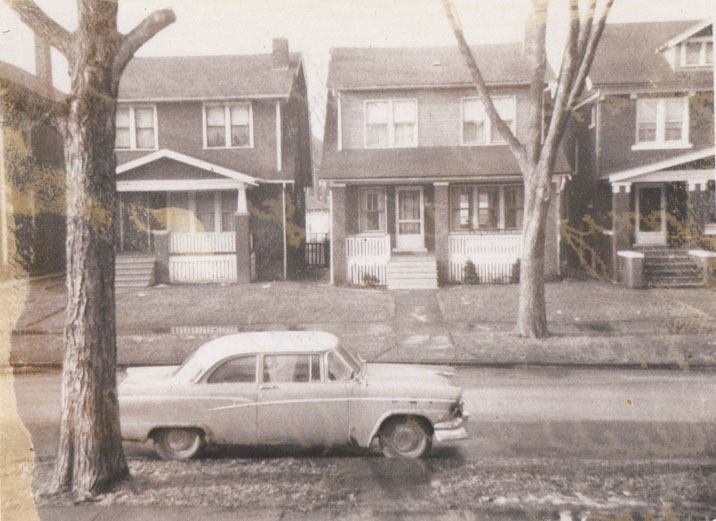 In the 1950s my grandfather bought ice cream from a dairy in the neighborhood. It was always vanilla ice cream. The kind we get at the store doesn’t match the taste. We sleep in a queen size bed, wooden frame. My grandparents slept in a brass double size bed in 1923. They had headboard lights that hung over the bed frame so that they could read before they went to sleep. Or turn the light on when they woke up in the middle of the night. I use my kindle to read on before I go to bed and often wish I had one of those lights. Read the story of the brass bed here Dollhouse Update. I almost forgot the bathroom! We have three bathrooms in this small house. Mine is the size of a closet, containing a stall shower, corner sink and toilet. There is no window. 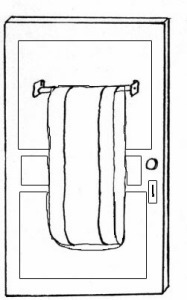 My grandparent’s bathroom was a full size room that was a bathroom. It had a claw foot tub, a toilet, a sink, a cupboard and a kerosene heater to warm up the room before baths. The window looked out on the neighbor’s house, but it wasn’t so close you could hear them talking. My cousin Dee Dee made up a story that the tub was magic and that it could go up through the ceiling somewhere magical, not the attic we knew was up there. They always used floating ivory soap for bath soap. I do too. And they used lava soap at the sink to get the grime off. It was a gritty gray soup. I wish I had a claw foot tub today! For more about the house on Theodore, T is for Theodore Street. I was going through some old notebooks where I used to write during the 1990s. There are schedules, poems, story parts and sometimes journal entries. I was happy to find my memories of cars in my life and with a few additions, I find it fits the Car Prompt in The Book of Me Written By You. We didn’t own a car until I was 7. My mother went back to school to get her teaching certification when I was 5. When I was 7, she had her degree and was teaching at the school I attended. She brought a gray Ford. She always bought Fords because her father worked at Fords. My father’s family always bought Chevys. Why, I do not know. My mother and sister with Betsy. We called our light gray car Betsy. Every Saturday we would pick up my mother’s sister and her daughters. The 5 of us would ride across town, usually taking the Blvd, from the West Side to Theodore on the East side to spend the day at my grandparent’s house. I remember getting a flat tire once on the way home. My mother changed the tire while we ran up and down the sidewalk. I liked the drive down through the exotic crowded flats and houses flats and houses. All those people outside bar-b-quing or sitting on porches. The neighborhoods looked lots more exciting than where we lived in a flat on Calvert. More people, older houses. We passed through areas full of white people up from the south and black bottom, full of black people up from the same south. Before the car we would catch the bus on Saturdays. Often having to get off and walk because I got bus sick. There was a big bridge over an industrial area, junkyards, railroad tracks… that we had to walk across. My sister Pearl and I ran across, looked over the railing, having a great time. I later learned my mother was scared to death of heights, but she hid it so we wouldn’t be. My father always bought a car with no extras, no clock, no radio. They must have been new. My mother always got a used car Her father, Poppy went with my mother when she decided to trade in Betsy for a newer used car. As we drove into the used car lot, the door flew open. We left with a newer black Ford. I recall my cousin Barbara getting her thumb or finger closed in the car door. She very calmly said “Aunt Doris, my finger is in the door.” Nobody paid her any attention. She didn’t sound like she had her fingers in the door. Then she started crying and Mommy opened the door. Lizzie in the background. 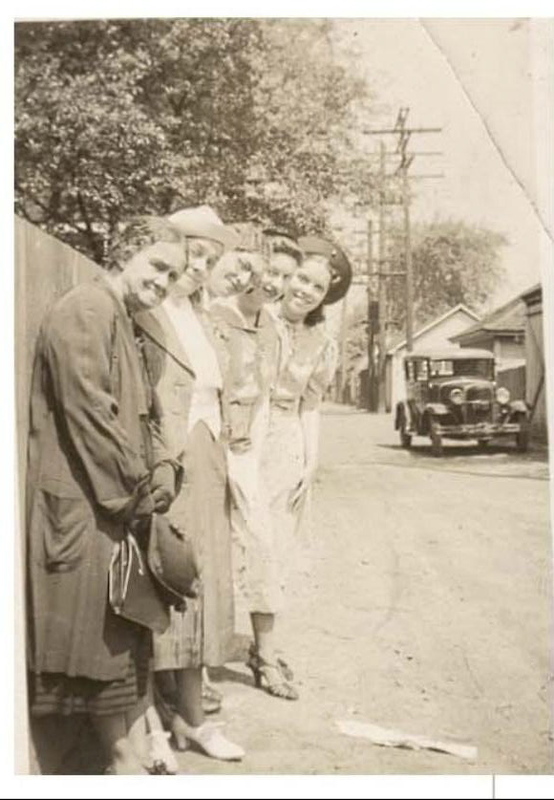 My great grandmother, Great Aunt Daisy, Grandmother Fannie, Aunt Mary V. and my mother Doris. The first car in my life was Lizzie, Poppy’s (my maternal gramps) old Ford. It was black with a running board and awning-striped shades on the windows. We pulled them down when using the car to change when we went swimming at Belle Isle. Poppy didn’t have a garage. 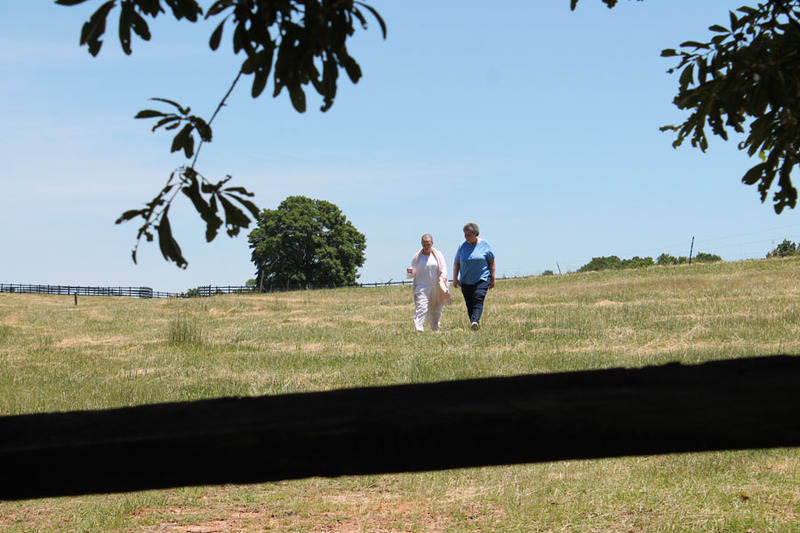 The back of his yard was taken up in a large vegetable and flower garden with a winding path and bird feeder. It’s all torn down now and cement block/razor wire surrounds it. Poppy rented garage space from a neighbor across the alley. Was it the family with all the kids? I don’t remember. I do remember my mother telling me one of their sons mentioned to Poppy something about his pretty granddaughter and I figured she was going to say Dee Dee, my older, beautiful cousin. At the time I was skinny with glasses and hair in 2 braids. I was truly surprised when she said he was talking about me. Come to think of it, he was skinny with glasses too. Anyway, I don’t remember ever talking or playing with him or any of my grandparent’s neighbors. We stayed in the house or yard making up plays, building fairy castles, playing imaginary land and swinging. Back to Lizzie. After we took the bus over to visit, Poppy would drive us home. Maybe while we were there the mothers went grocery shopping. I remember how we grocery shopped in Springfield, MA pre-Betsy…. we walked. We all squeezed into the car for our yearly visit to the zoo. 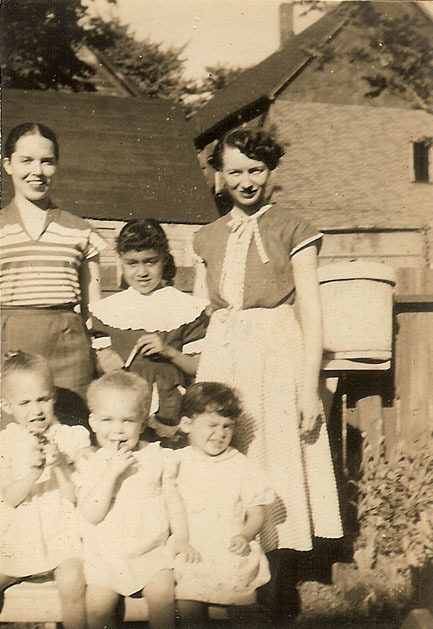 We granddaughter all spent the night before the trip – 4 girls smashed into a double wide cot in my grandfather’s room. If I woke up at night I was doomed to lay there and listen to his loud snoring. Let’s see, Poppy, my mother, her sister and 4 or 5 kids in one car?! Maybe we were in Betsy by this time – three adults in front and 5 girls squeezed into the back seat. Singing “John Jacob Jingleheimer Schmidt” and other camp classics that Dee Dee taught us. I remember coming up to Idlewild in my other grandfather’s big green car. The car was full and some of us were sitting on the floor. This doesn’t make sense, but I remember it. Flash forward. Oh, wait, I used to have to go to bed at 8 o’clock or maybe earlier. Way before I was sleepy. I’d watch the girls next door playing up in their attic playroom. They were our age. They had an awful, mean dog that tried to bite me once, so we never went over there. My father had a big stick he carried to knock the dog silly when she ran out at him. One night I saw a pink Cadillac parked on the street in front of my house. A pink Cadilac. It wasn’t full dark yet, dusk. I was kneeling at the open window and there it was. This was in the days of black and dark colored cars. I was amazed. Henry’s red and white car. The photo was taken from the house porch. 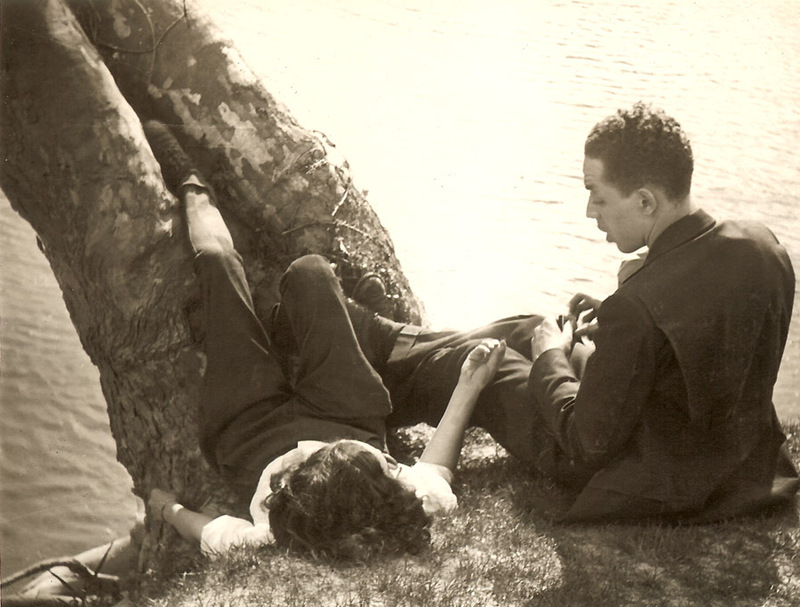 After Henry and my mother married they spent many weekends driving around looking for a place in the country. Pearl often chose to stay with my father and so it would be the three of us. We drove around Canada, but the houses on the lake – What lake? – On the beach, the beaches in Canada were public beaches and there seemed to be lots of teenagers racing cars up and down them. I always liked trips. Sitting in the back seat looking at all the stories going by. Henry’s car was a red and white Chevrolet. It always struck me as chunky. That was on Oregon and there was no driveway so the cars (Chevy and Ford) were parked out front. When we went to Nanny’s and Poppy’s we drove via the highway. We passed over an area of junk piles, We’d gotten into the habit of saying “If this bridge broke, we’d land right in the junk yard where we belong.” Henry took this (for some reason) as a personal insult and we had to stop that. Once we gave my Uncle Hugh a ride way out Grand River somewhere to pick up his car from where it had been in the shop. The drive was long. On the way home, he stopped suddenly for a red light. We were right behind him. Blam! Back to the shop he went. A big light blue car that must have been Henry’s white after white and red car, at Old Plank. When this car was worn out they said they would have given it to me but since I couldn’t drive they gave it to my cousin Warren. I don’t think it ever moved out of his driveway until it was towed away. 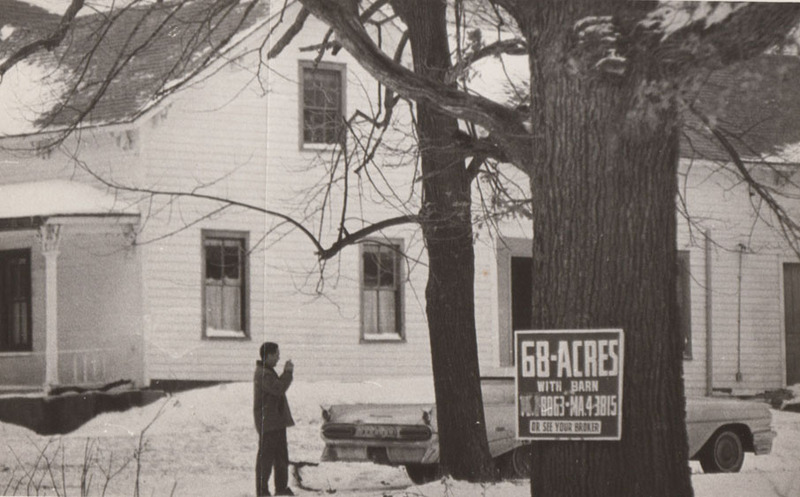 We used to drive to Old Plank Road, near Wixom and Milford, our 2 country acres with a big, old farm house on it. We’d drive out Grand River or take the Freeway. My mother and Henry would sing songs like “Indian Love Call.” We drove passed a Square Dance clothing shop. I would have loved to have one of those dresses. I started learning how to drive when I was 16 or 17. Henry was teaching me out at Old Plank. I wasn’t all that interested in learning to drive but I learned to drive to Wixom and even went 40 mph down the black top. The end of my early driving career came when I had turned into a driveway and was supposed to back out but instead I went into a ditch. Just as my cousins drove up. I tried learning to drive again when Jilo was a baby. My husband Jim was teaching me but there was too much traffic. It rattled me and I gave it up and continued to ride the bus or catch a ride. This worked when we moved to Atlanta where my second daughter Ife was born, but not after we moved out of the city. I finally had to learn to drive. I started learning in Mt. Pleasant, SC and ended up getting my license while pregnant with third daughter Ayanna, in Simpson County, MS in 1976. Our car at that time came with the job and was a little gray Volkswagon. Our cars from then to now. After the Volkswagon we bought our first car. It was at an auction – a light green post office jeep. The only seat was the drivers seat. Jim bolted an old kitchen chair onto the passenger side and the kids just sat in the back. There were no seat belt laws in those days. After that, we had a station wagon with a hole rusted in the backseat floor. My daughter Jilo put her foot through that hole once to see what would happen. Luckily, nothing. There was a blue car of some type and there was a Datsun truck – red, with a camper. We sat in the front and the kids rode in the back. After leaving Mississippi we moved to Excelsior Springs MO. My brother-in-law left us his black Rabbit Volkswagon. It was a bit small for 2 adults and 5 children. The back shelf came out and several of the children would ride back there, sort of in the trunk but with their heads coming up where the shelf was supposed to be. 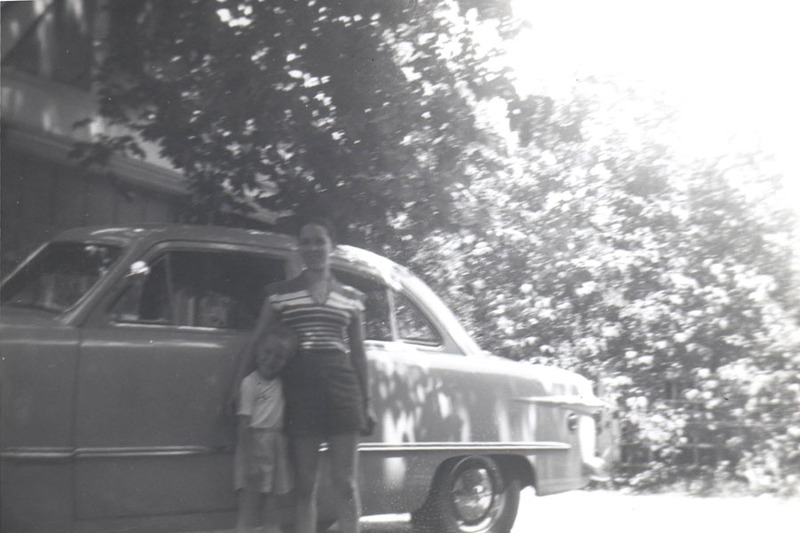 Eventually we bought our first new car – a much needed station wagon. It died of a fire years later. Nobody was in the car or hurt. The Idlewild fire department came and hosed the car well and that was the end of it. There followed a series of used cars, a blue van, and as Jim retired and we moved to the big city, we bought a newish used car that I hope will last us another 20 years. Or however long we keep driving. The first movie I remember seeing when I was about 4. We lived in St. John’s Congregational Church parsonage/community house in Springfield, Massachusetts where my father was pastor. Unfortunately, I don’t remember the name of the movie. I remember waking up from my nap and going down the hall to a big room where a movie was being shown. There I saw a larger then life, green genie coming horrifyingly out of a bottle. Perhaps it was The Thief of Bagdad, released in 1940. By 1950 it could have been available for showing in darkened rooms full of folding chairs to community groups. 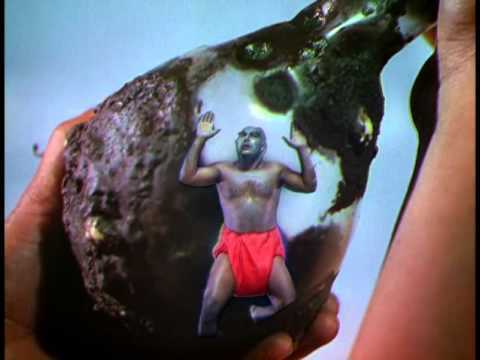 I did not stick around after the Genie started coming out of the bottle. My mother took my sister and me to see many Disney movies when we were young. I remember seeing Cinderella, Snow White, Sleeping Beauty, Pinocchio and Bambi. Later there was Old yeller, Zorro and Davy Crockett. We had popcorn and we each got a box of candy. For me it was the pink and white covered licorice candy – Good n’ Plenty. My sister got Milk Duds. Or we got Jujyfruits. Or were Jujyfruits found under our pillow when we lost our teeth? Then came movies that we saw after we finished with the children’s movies. I only remember going to the movies once with Pearl on our own. We went to see Persona, an Ingmar Bergman movie that a friend had told her involved a razor blade. We saw several movies with Henry and my mother at the drive in – Who’s Afraid of Virginia Woolf and Bridge On The River Kwai come to mind. We saw West Side Story, with my father and The 10 Commandments with my mother at the Dexter Theater. I think we saw Blow-up with my father? Sounds odd, but that’s the way I remember it. Dr. Strangelove, The Battle of Algiers (which I later saw about 50 times while librarian at the Black Conscience Library) and Los Olvidares (one of the scariest movies ever) we saw at the Studio Theater with Henry and maybe my mother. 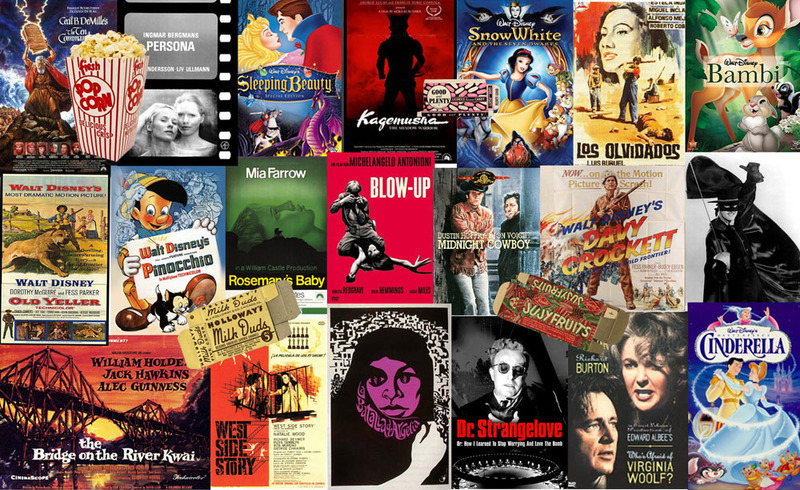 When and where did I see Rosemary’s Baby? Can’t believe I really saw that at the show. I remember seeing several movies while visiting Pearl after she moved to Atlanta – Kagemusha, Rashoman and Austrailian movie The Chant of Jimmy Blacksmith. I remember seeing Midnight Cowboy with my cousin Barbara after I moved into my own apartment. We caught the bus and walked down Dexter. I remember it was night. Maybe the only movie I went to in Detroit after moving on my own. I returned to watching children’s movies when my older children were younger – Charlotte’s Web and Sounder. There were probably others. Later I saw a few movies when we lived in Mississippi – The Harder They Come, The Harder They Fall, Close Encounter of the third Kind. In Excelsior Springs I remember seeing The Color Purple with my friend Roberta. 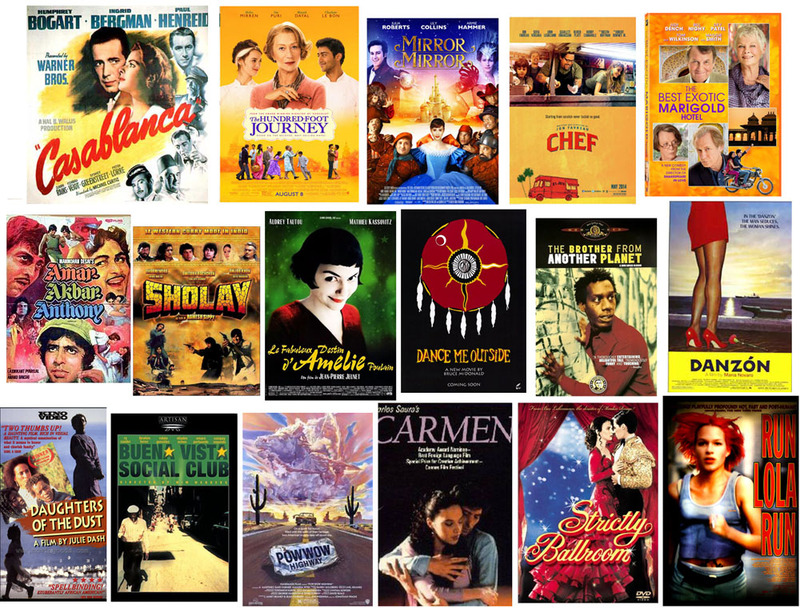 When we moved to Idlewild for a long time the only movies I saw were on video – Daughter’s of the Dust, Danzon, and Strickly Ballroom were some of my favorites. I remember seeing quite a few movies with my youngest son in the theater in Ludington, mostly during the week while the theater was empty. I can’t remember any memorable ones but we went often, taking juice and our own popcorn in my bag. For several years I was a member of SASIALIT, an online discussion group about South Asian literature and movies. Two of the favorite movies were Sholay and Amar, Akbar, Anthony. Movie theaters have changed since I was going to movies in the 1950s and 1960s. I went to see “Hundred-Foot journey” at Phipps Plaza. They have roomy, red recliner seats. Quite nice to be able to put up my feet. One of my very favorite movies is Danzón (María Novaro, 1991). The whole movie (Spanish, no subtitles) is available on YouTube in more than 10 parts. I would advise renting the movie. It has everything, dancing, true love, a fine young man on a boat, good hearted prostitutes, female impersonators, friendship, motherhood, getting older. Award for Excellence in Spanish. I took 4 years of Spanish in high school. It was with the 3rd year that the total number of students in the class fell to 2. We sat in the back of the 2nd year class and worked on our assignments. We missed a lot by not being in a 3rd and 4th year class geared to learning to speak and understand the language. Both of us, I can’t remember his name, received awards in our senior year at the awards program in the auditorium. 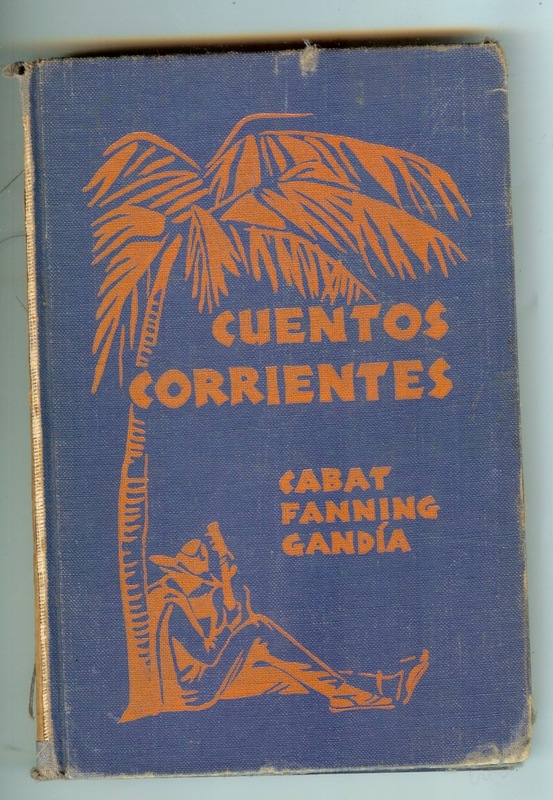 I supplemented class work with listening to Radio Habana Cuba on the ancient short wave radio and the Mexican music program once a week. I also bought magazines and records, but I never had anybody to actually talk with or listen to. Once my Aunt Barbara suggested that I work at one of the grocery stores in Southwest Detroit that my uncles printed flyers for because I could practice my Spanish on the customers. My mother nixed that plan. 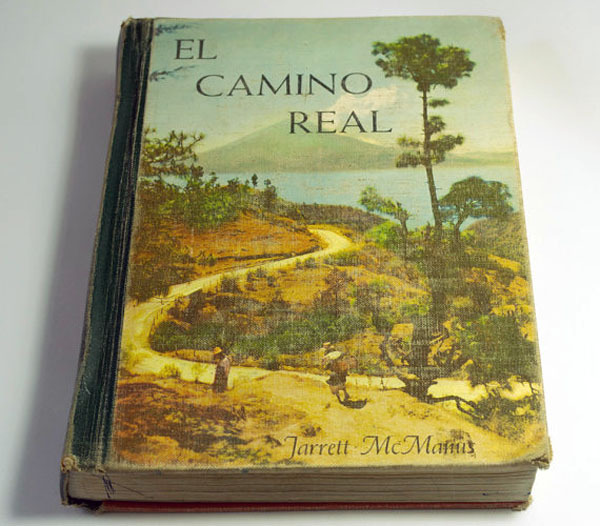 Intermediate book. 3rd year? There was a great grammar book with samples and examples and explanations but I can no longer find it. My Spanish teacher Señor Velasco. I remember that he shared a letter from his sister once. She was a teaching nun in the Dominican Republic. I don’t remember anything about the letter. The Northwestern High School Honor Society. I am in the center. When I got to college I studied a year of Classical Arabic my freshman year. I also took a year of French. Finally, during my sophomore year, I decided to finish my language requirement of 2 years with Spanish. I tested out of the first 1.5 years and needed 1 quarter more to complete. I should have taken more after that until I was fluent, but I did not. When I started looking for signatures, I thought it would be easy because I have many letters through the generations. The problem was that they did not sign letters with both first and last names. Some repeatedly used nicknames. I was able to find most signatures by searching through documents – marriage licenses, social security cards, deeds, bills of sale and group membership cards. I finally found my sister’s signature in the return address on an envelope and if I’d thought of it sooner, might have found others in the same place. 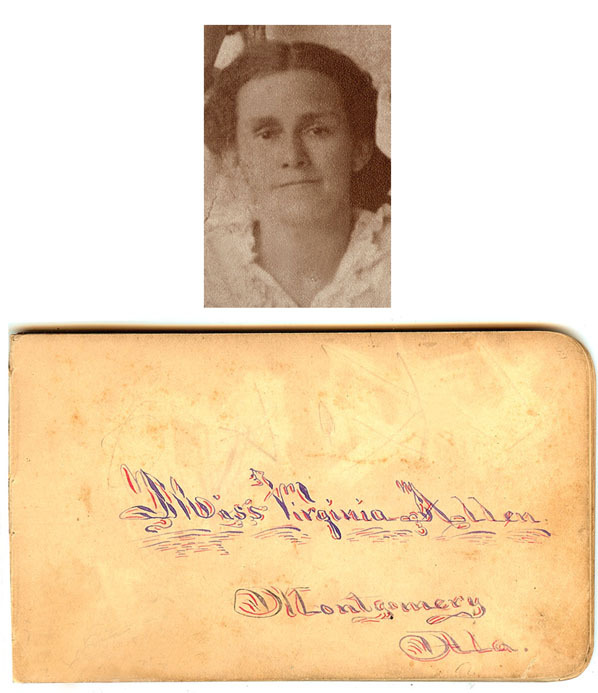 The first page from my great grandmother, Jennie Virginia Allen Turner’s memory book. My mother’s, mother’s mother. The first generation born out of slavery and the first literate generation. I believe that she and her siblings all attended schools founded by the Congregational Church in Montgomery, AL after the Civil War. 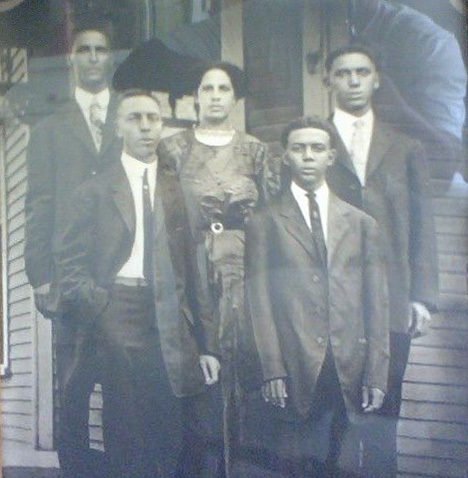 My great grandfather Howard Turner was born in 1862 in Lowndes County, AL. He was literate but I do not know what school he and his siblings attended. I do not have a photograph of him but I did find his signature on my great grandparents marriage license. 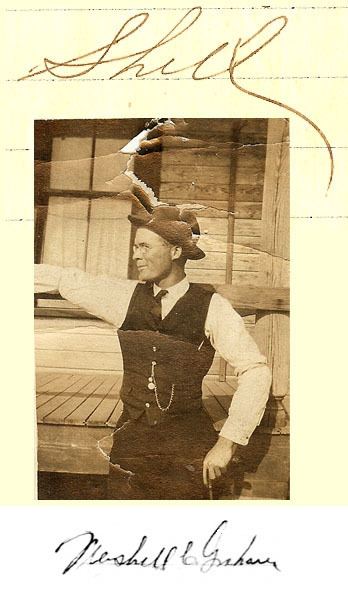 My great grandmother’s brother, Ransom Allen. 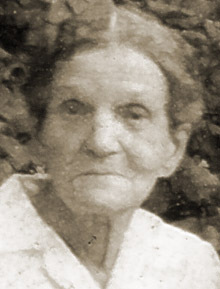 My great grandmother’s oldest sister, Mary Allen McCall. My paternal grandmother Pearl Reed Cleage. I found her signature on some legal papers because all of the letters I have from her were signed “Mother”. I know that she graduated from high school in Indianapolis, IN and received all of her education in Indianapolis but I do not know the names of the schools. 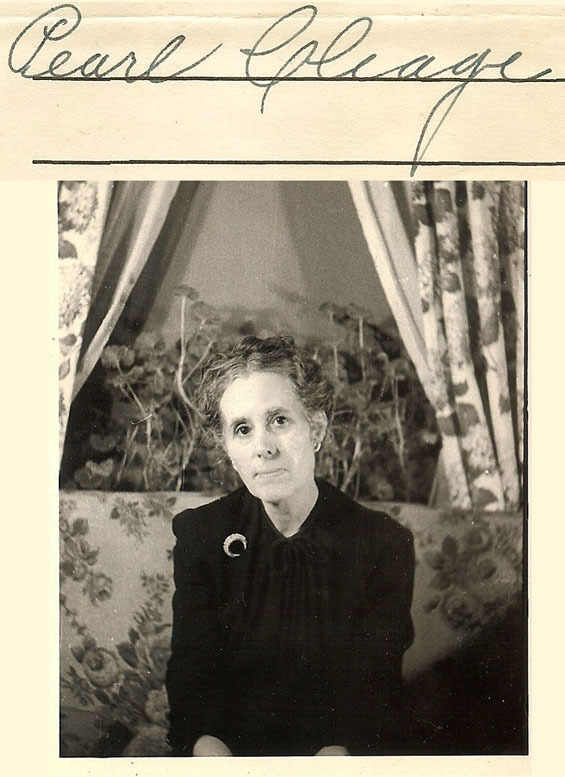 Her signature came from a Marion Indiana Probate record for her older brother’s will in 1946. 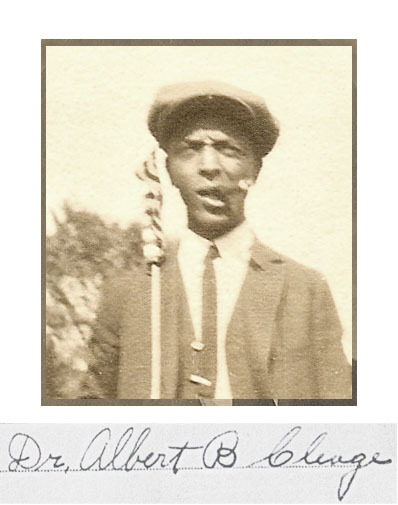 My paternal grandfather, Dr. Albert B. Cleage Sr. 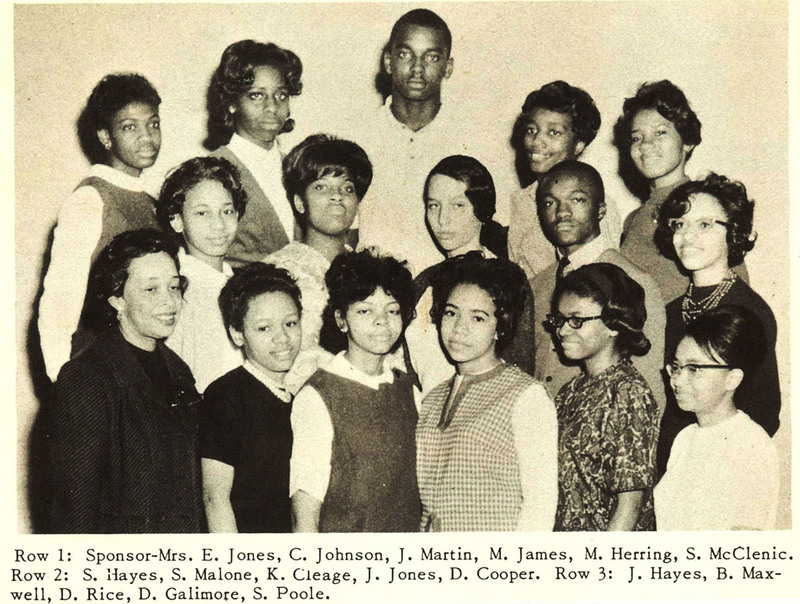 He attended the Athens Academy in Athens TN, Knoxville College and the Indiana Medical School in Indianapolis, IN. His signature came from his marriage license in 1910. 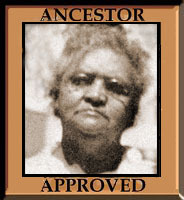 My maternal grandmother, Fannie Mae Turner Graham. Jennie’s daughter, she was educated in Montgomery, AL at State Normal which was a school from elementary to high school, started by the Congregational Church for Black students. 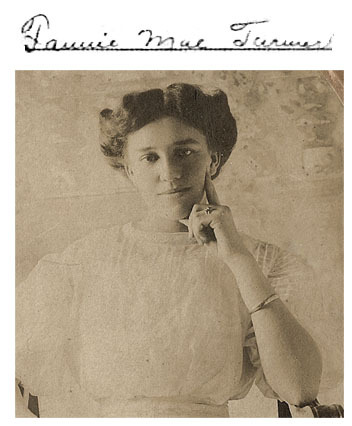 Her signature came from the 1910 Montgomery Census form via ancestry.com. She was an enumerator. My maternal grandfather Mershell C. Graham. My mother said he taught himself to read. The 1940 census said he finished 8th grade. From Coosada, Elmore Countty, Alabama. His signature came from his WW1 Draft registration card in 1917 via ancestry.com. 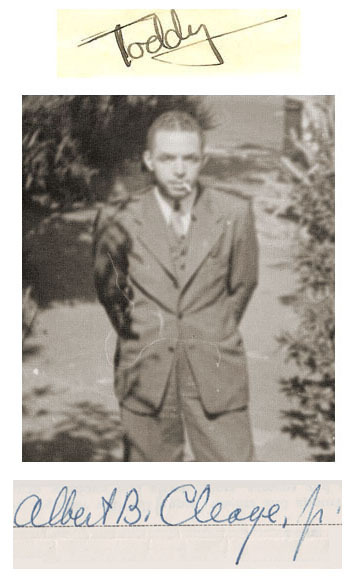 My father Albert B. Cleage Jr. His nickname was Toddy and he often signed his letters home Toddy. 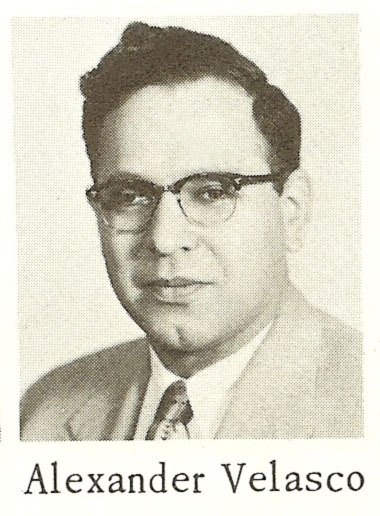 He attended Wingert elementary, Northwestern High, Wayne State in Detroit and Oberlin University in Ohio. His full signature came from a Purchaser’s recipt in 1957 for a building Central Congregational Church wanted to buy. 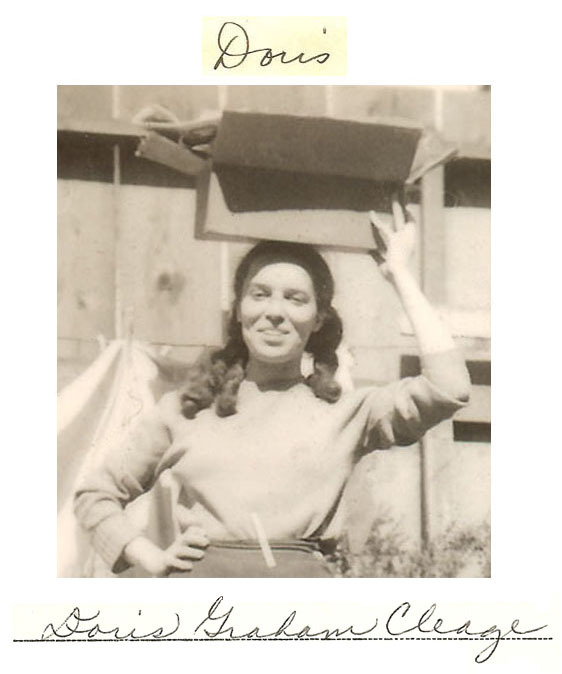 Doris Graham Cleage, Fannie’s daughter, my mother was born in 1923 in Detroit, MI. She attended Thomas Elementary School, Barbour Intermediate, Eastern High and Wayne State University in Detroit. Her signature came from a State of Michigan Teacher Oath in 1964. The “Doris” came from a letter home from Los Angeles in 1944. 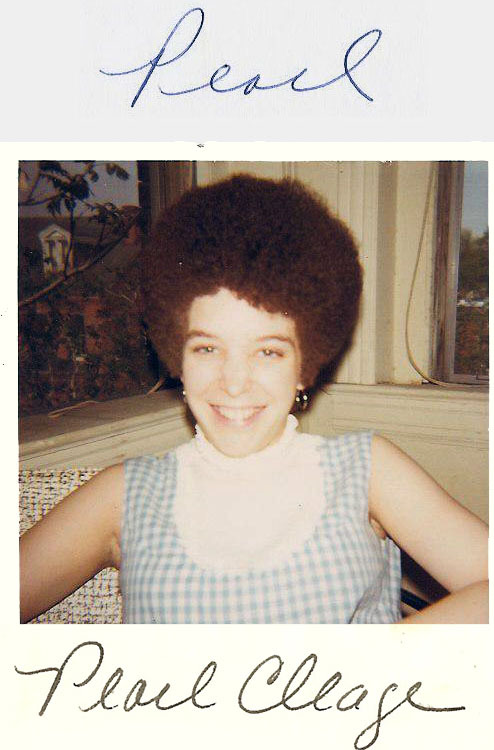 My younger sister Pearl Michell Cleage is Jennie’s great granddaughter. She attended Roosevelt Elementary School , McMichael Junior High School and Northwestern High School in Detroit. She also Howard and Spellman Universities. 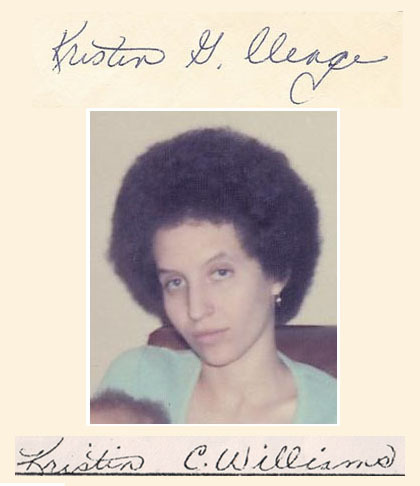 Her signature came from the return address on a letter in 1991. My own signature. Another great granddaughter of Jennie, I was raised in Detroit and attended Brady and Roosevelt Elementary Schools, Durfee and McMichael Junior High Schools, Northwestern High School and Wayne State University, all in Detroit. The bottom signature came from my third daughter’s birth certificate in 1976. The top one came from a deed for the sale of the house on Oregon where I was a witness in 1968. 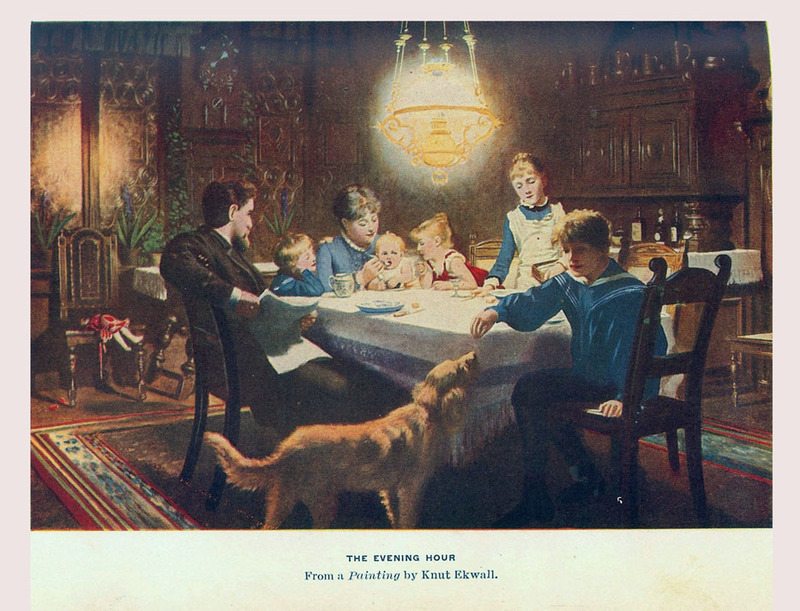 This picture comes from a book belonging to my Graham grandparents ‘The Young Folks Treasury – Ideal Home Life.’ I always thought of it as being in one of those big houses on East Grand Blvd. That we drove past on the way from the grandparents to Belle Isle. I didn’t know it was a Swedish. When we lived in the parsonage on Chicago, we had dining room furniture that was big and heavy and looked sort of like this. We only ate one meal there, the Thanksgiving dinner before my parents separated in 1954. It may still be in use in room off of Fellowship Hall at the Shrine of the Black Madonna on Linwood. Anyway, it always had a feeling of ‘home’ for me, even though I never witnessed a scene like this in real life. I probably read too many old books. 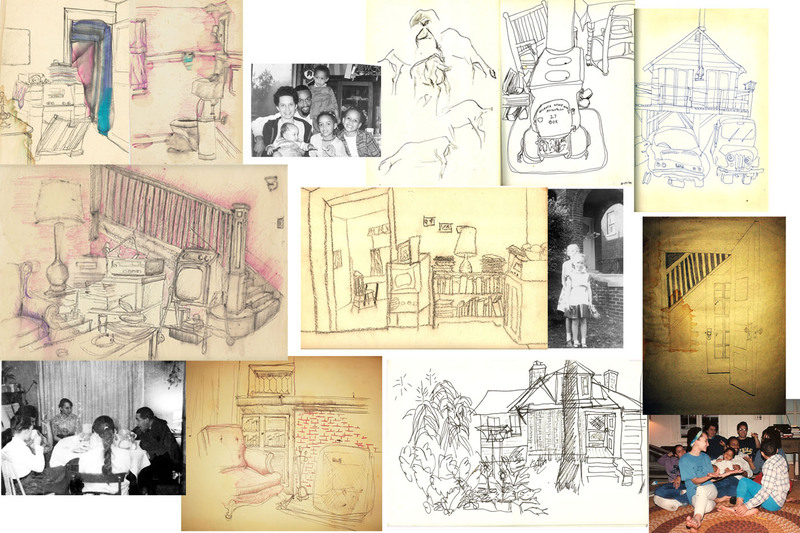 Drawings and photographs of 4 of the 20 houses I’ve lived in. During my early years on my own, the house I lived in wasn’t always “home”. In my early 20s, I moved 7 times in 3 years. Living in back rooms, attics, other people’s houses, temporary apartments, always waiting/watching for the next place to go. Click for more information about The Book of Me project. Prompt for week #28 in The Book of Me is – My Parents, This is a very surface description of my parents. I have written other posts about them. Links to two are below. 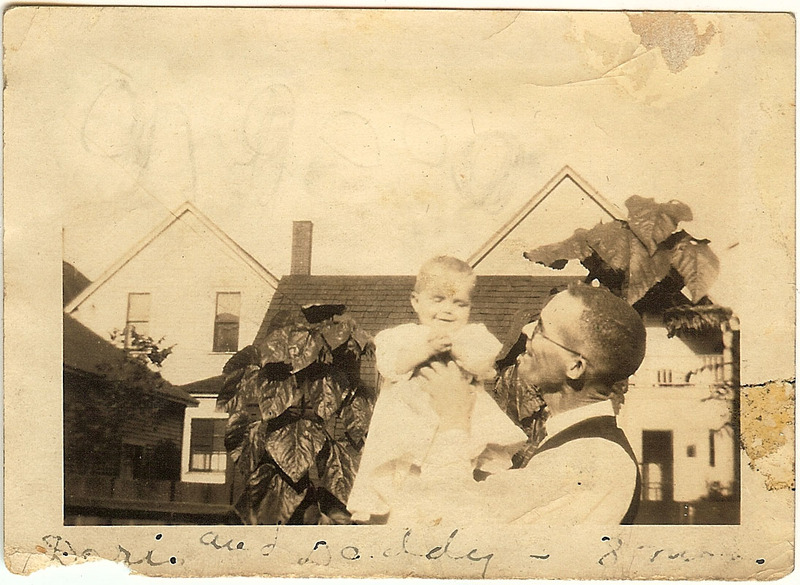 My father, Albert, was born in 1911 in Indianapolis Indiana. 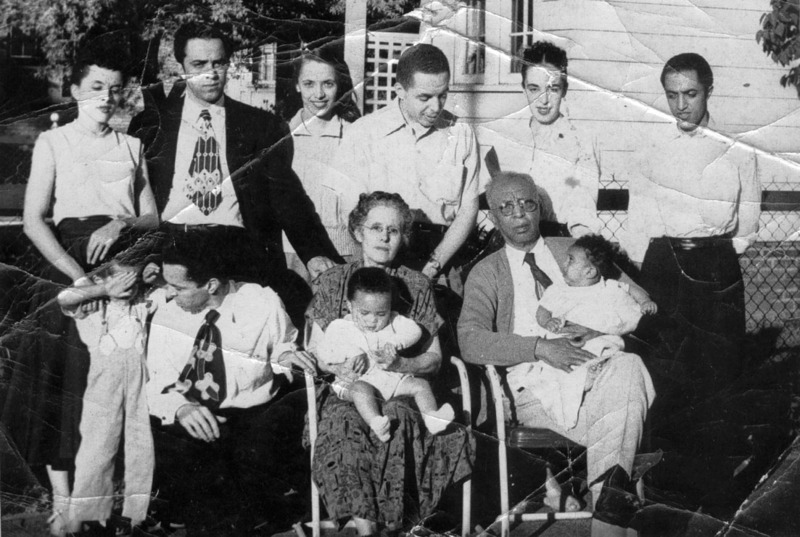 His parents, Albert and Pearl Cleage, met in 1907 when his father came from Athens, TN to attend Medical School. 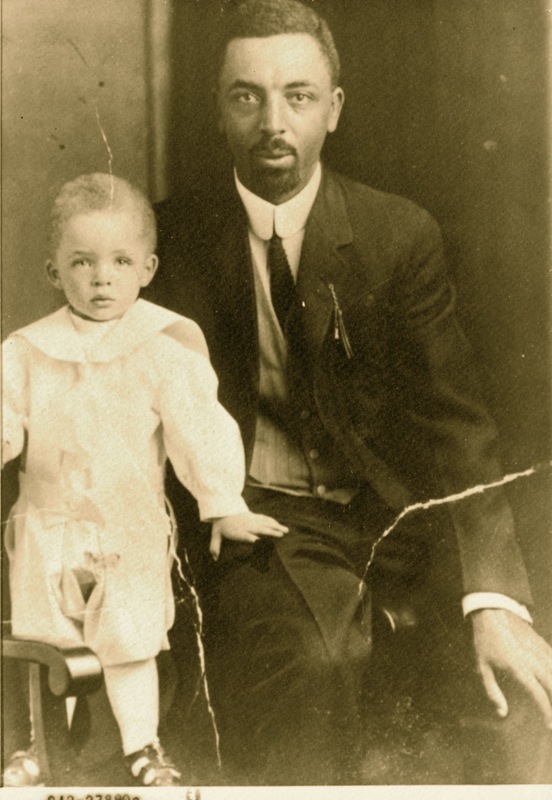 His mother was born in Kentucky and moved to Indianapolis with her family before 1900. In 1912 my father and his parents moved to Kalamzaoo, MI where his father started his practice. By 1915 they were in Detroit where they remained. He was the oldest of 7 children. His nickname was Toddy and his friends and those who knew him in his youth continued to call him that throughout his life. My father was one of the most intelligent people I have known. He was well read and could think and understand both history and current events. I wonder what he would have to say about the state of the world today. My mother, Doris, was born in Detroit in 1923, the third child of Mershell and Fannie Graham who came to Detroit from Alabama in 1917. 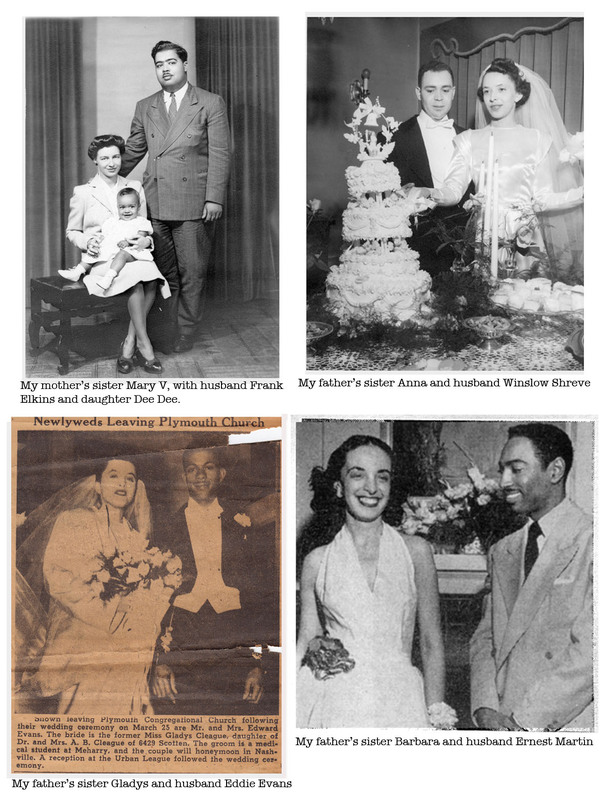 She lived in Detroit, in the same house on Theodore, until she married in 1943. The only nickname she had was “Stubs”, and the only person I heard call her that (a name she wasn’t fond of.) was her sister’s husband, my uncle Buddy Elkins. My mother was one of the most independent people I have known. She taught in Detroit elementary schools for almost 20 years. She taught reading during the last years before she retired and loved helping children discover reading. They met at Plymouth Congregational Church and were married there in 1943. In the early years of their marriage they moved several times – to Lexington, KY, to San Francisco and then Los Angeles, CA, to Springfield, MA and then back to Detroit. Judging from letters my father wrote home, their marriage seemed to be one of shared interests and activities, until I was born. 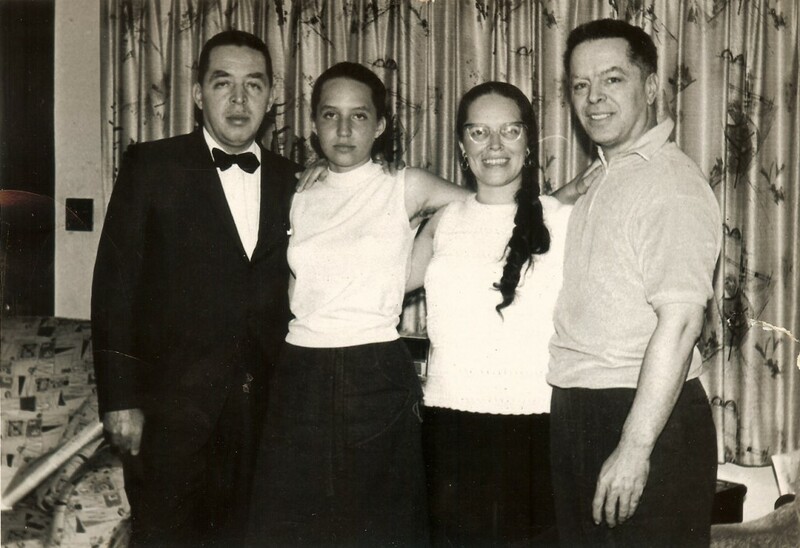 At that point, it seems to me, that my father expected my mother to become a traditional wife and mother while he continued the interesting life of organizing and running the church. They were divorced in 1954. They remained on friendly terms. We saw a lot of my father as he was home during the week so my sister and I ate lunch at his house during school week. When we were older, we spent the weekend with him frequently. In 1960 my mother married my father’s brother, Henry. They remained together until her death April 30, 1982. My father never remarried. He died February 20, 2000. My father, me, my mother, Henry. Photo by my sister Pearl. 1966. I’ve written about my parents in these posts. 100 Years – 100 Photos – 100 Sepia Saturdays – Commemorating my father’s 100th birthday. 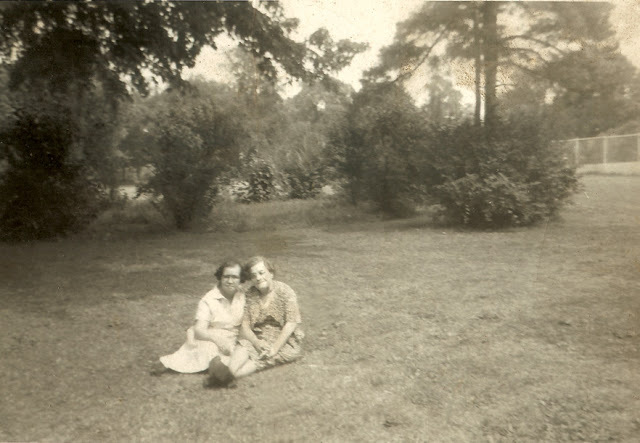 Growing Up – In Her Own Words – By and about my mother. H is for a Nostalgic Interview with Henry – an interview about the Freedom Now Party. 1990s.